Mario's International Spas and Hotels. Mario's International Spa Hotel beckons those searching for a comfortable retreat... Where your departure will be the only difficult part of your stay. We take great pride in providing the highest levels of service to our customers. Mario’s Spas offer body therapies in an Old World atmosphere with state-of-the-art technologies. Known as a leader in “specialized” spa therapies, Mario’s provides a full selection of health and beauty treatments featuring expertise in Endermologie, Microdermabrasion, Panthermal, Parafango and an assortment of Women’s Wellness programs. 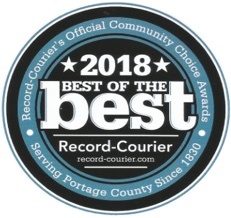 Conde' Nast Traveler, Allure, SELF, Cleveland Magazine, Pittsburgh Magazine, Midwest Travel; Cleveland & Akron Family Health as "Best Spa" and Ohio's Best. As of October 2018 - Prices have been changed.